Each of Mt. Tam’s watersheds is a complex mix of landscapes; their streams cascade down from forested ridges through oak woodlands, chaparral, meadows, and wetlands and flow into the bay or ocean. The condition of each habitat, as well as the connectivity between them, is critical to the overall health of the watershed and its inhabitants. Mt. Tam’s Coyote Creek watershed drains through the Bothin Marsh Open Space Preserve into Richardson Bay. This 106-acre area of marsh, slough, and tidal wetlands supports many native and rare plants and animals. 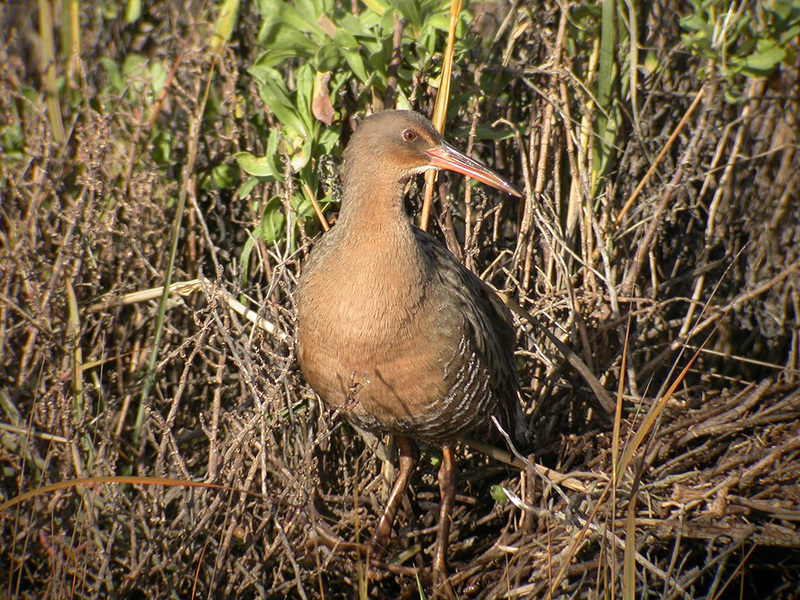 It provides year-round habitat for hundreds of native birds and other wildlife, including the endangered Ridgeway’s rail. It is also a resting stop for more than 400 species of migratory birds traveling on the Pacific Flyway. Bothin Marsh helps keep the bay healthy by filtering runoff pollution from nearby urban areas, reducing erosion, and providing flood control when water levels are high. 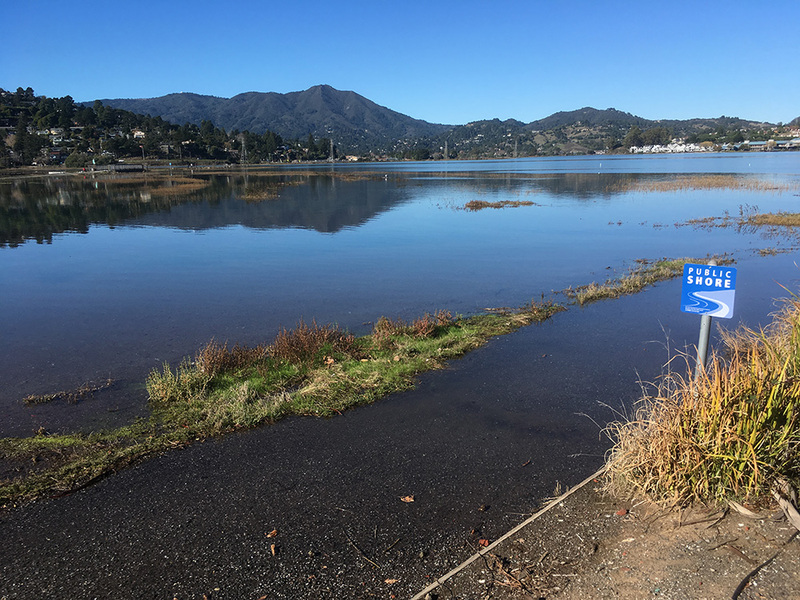 The Mill Valley-Sausalito Multi-Use Path (Bay Trail) and the Charles McGlashen Multi-Use Path traverse and border the Preserve. The trails provide year-round recreation opportunities to tens of thousands of residents and visitors each year. The Bay Trail is also an important regional bicycle commuting corridor as well as local linkage for the community to get to school and work. 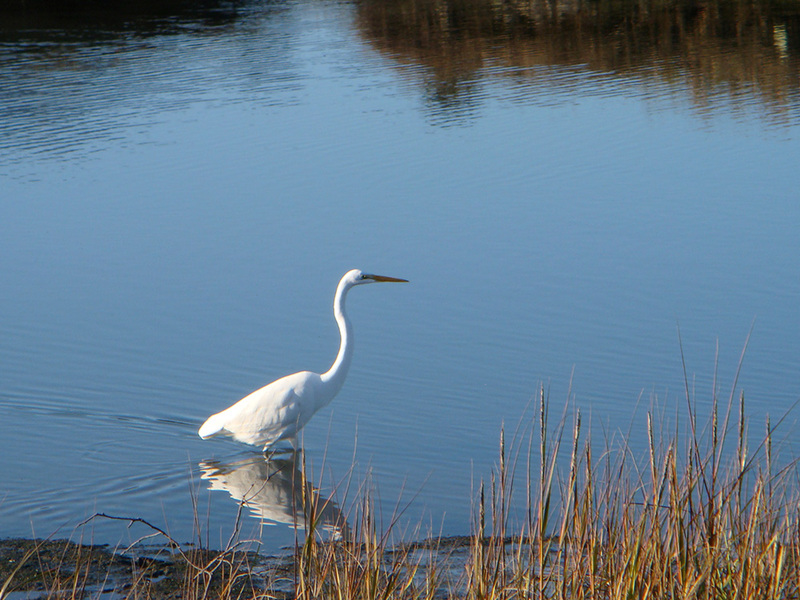 The Bothin Marsh Open Space Preserve provides year-round recreational access to our public shore. Pathways in the Preserve are increasingly flooded as sea level rises. Bothin Marsh is threatened by rising seas and strong waves caused by climate change, and will also experience increased temperature changes and more frequent periods of drought and intense storms. Under these conditions, Bothin’s shoreline is in danger of eroding and the marsh may convert to mudflats or become submerged. Further compounding the problem, urbanization has disrupted the natural movement of sediment that historically replenished marsh habitats and was critical to maintaining a functioning marsh plain. In the absence of this sediment flow, vital marsh habitats, as well as rare assemblages of plants and wildlife, are greatly diminished. As sea levels continue to rise, remaining vital wetland transition zones will continue to degrade and marsh habitats will become isolated or disappear. Faced with habitat loss and fragmentation, some species will migrate, but others that cannot move or find suitable alternate habitats could become locally extirpated. Maintaining and restoring Bothin Marsh’s habitats and strengthening the connections between landscapes is more important than ever. Past approaches to prevent coastal erosion included the use of riprap, concrete sea walls, and other “hard” tools to armor the shoreline. Current science supports a shift towards “soft” approaches that may include using nature-based techniques. 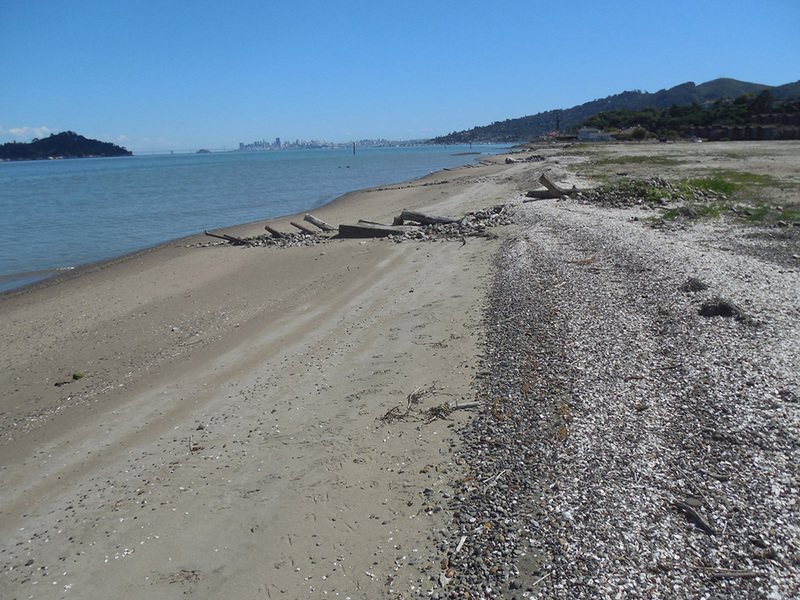 One example of a nature-based approach has been successfully demonstrated on the Aramburu Island Preserve in outer Richardson Bay, where sand, oyster shell, and gravel were used to construct an estuarine bay beach that adjusts to wave impacts like a natural beach would. Potential pilot projects of similar nature to Aramburu Island are currently being considered at Bothin Marsh. One project could improve practices for reusing dredged sediments and replicate the natural movement of sediments around the watershed. Similarly, another could create new tidal channels and reconnect the marsh to the tides which naturally distribute sediments. Other pilot projects in development could explore habitat improvements by creating marsh mounds that provide refuge to wildlife during high tides. These pilot projects would help inform the development and design of future long-term adaptation projects that could be developed through a community visioning process. In the near future, the Tamalpais Lands Collaborative will begin the studies and surveys needed to launch the pilot and develop conceptual project designs. The pilot projects would help test techniques and strategies to minimize shoreline erosion, create and maintain marsh habitat to preserve biodiversity, protect several threatened species in the Coyote Creek watershed, enhance connectivity between habitats, sustain wildlife corridors, and help species to adapt to climate change. Pilot projects would demonstrate the beneficial reuse of dredged sediment to create high marsh transition zone as well as evaluating the use of gravel coarse-grained sediments for shoreline and habitat protection—techniques that could be applied elsewhere in the region. Other major benefits of these pilot projects would be to get contractors familiar with new concepts, demonstrate the cost effectiveness and constructability of new techniques, and allow for monitoring and scientific documentation of the new methods. There is a great need to test these pilot projects, so we can preserve many of the attributes that marshes provide for our community, such as reducing the impacts from large storm events that can cause flooding to roads, bridges, homes and other community assets. Like other areas of Mt. Tam, a vital and sustained Bothin Marsh Open Space Preserve will offer beauty, inspiration and recreation to residents and visitors for years to come. 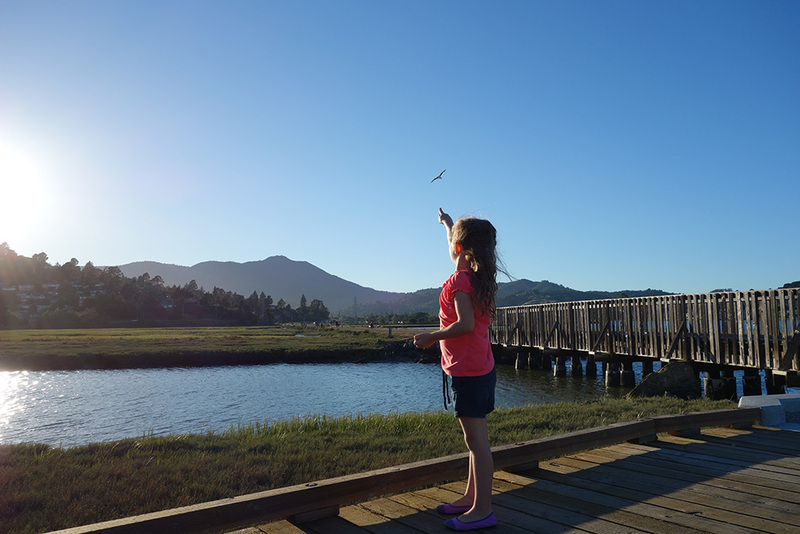 Healthy tidal marshes serve as the lungs of San Francisco Bay, giving life to hundreds of fish and wildlife species and billions of small creatures that form the base of the food chain. As a result of development, only 10 percent of San Francisco Bay’s original wetlands remain. Yet, scientists estimate the Bay needs 100,000 acres of healthy wetlands to maintain a sustainable ecosystem. Bothin Marsh historically extended much farther inland through the present-day Tam Valley, but like many bayside marshes and wetland areas, it has been shaped and transformed by human activity over the years. Large areas were filled in during the 1970s to support urban development and transportation, and now the marsh is only half the size of its original area. In 1975, Bothin Marsh was purchased by the Trust for Public Land, and the 106-acre Bothin Marsh Open Space Preserve was formally acquired by Marin County Parks in 1981. Like many other wetlands around the San Francisco Bay, it is a small remnant of a large, complex, and species rich wetland environment that formerly existed.